Imagine the IMDB plugin that shows you the info and ratings and more of the IMDB page on your E2 box. In the appendix there is also a version specially adapted for the VU + speakers (from VTI 13.0.12) for download, with which the plugin also runs on the VU boxes again. 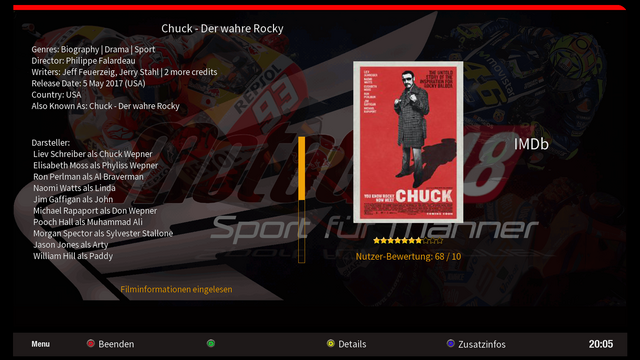 Thanks for the adjustment goes to @dhwz for finding the bug and to noseDC and schomi for creating the new VU version. Solucionado!!! Wifi Plugin IN..... Plugin OUT.... sin parar!! !